Over the decades, histories of Lyndon Johnson have continued to evolve. There remain many debated questions even more than 40 years after his death. The 37th president is, even today—and more so than others who have attained the nation’s highest elected office—such a larger than life figure that no single biographical work fully captures or contains him. 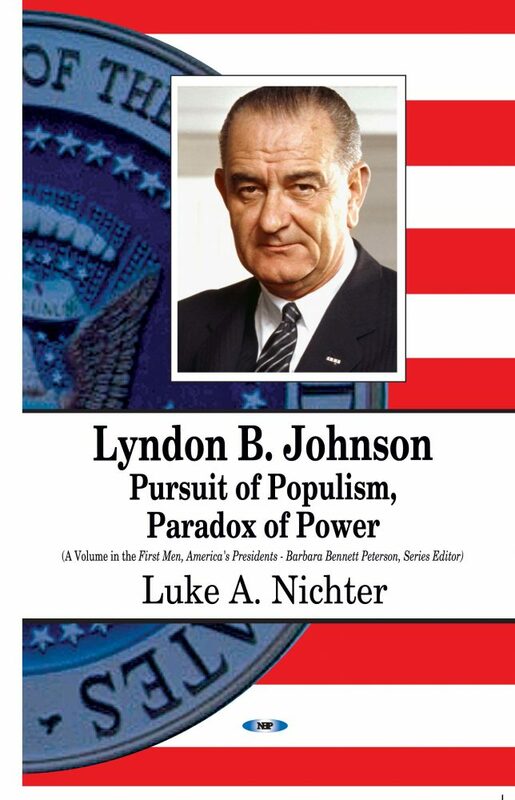 Johnson dominated government and American public life for a relatively brief time, only a half-decade. Yet, his personality and his policies have resonated for far longer. While topics such as the Great Society and Vietnam continue to capture the attention of many scholars, later rounds of revisionism also brought into focus other aspects of the Johnson presidency. Historians and thinkers continue to wrestle with questions as relevant to today as they were during the Johnson administration. These include debates over the proper role of government in its citizens’ lives, the conduct of elected officials and the “credibility gap” during wartime, the extent to which the federal government is capable of transforming society, and the limits of social welfare policies. He continues to be ranked very high on domestic policy, even while he is criticized for escalating American involvement in the Vietnam War. To see an interview with Dr. Luke A. Nichter on Fox News, click here.